When asked if the Home Affordable Modification Program “has reduced the rate of foreclosures in your market,” only 10 percent of respondents said yes. Of those remaining, 65 percent responded no, and 25 percent were unsure. Despite the low enthusiasm about HAMP, overall optimism seems to be improving, with most agents reporting an increase in homebuyer interest. Regional responses in states with the highest foreclosure rates showed even higher buyer interest—Arizona, at 71 percent; California, at 64 percent; and Florida, at 67 percent—than the national average of 58 percent. However, Home & Land said the increase appears to be coming in the form of distressed sales. 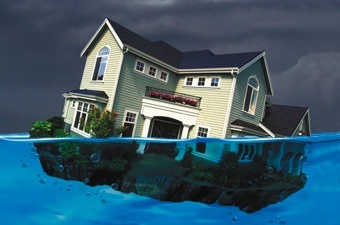 Only 14 percent of agents reported that the majority of their sales over the last 12 months came from distressed sales, but reports of distressed sales were much higher in Arizona, at 38 percent; California, at 35 percent; and Florida, at 26 percent. The survey also found that 41 percent of respondents believe real estate prices in their market have bottomed out. However, 36 percent don’t believe prices have hit their lowest, and 23 percent were not sure. In addition, 47 percent of agents said only 0 percent to 10 percent of their clients have purchases a home using the homebuyer tax credit in the last three months.